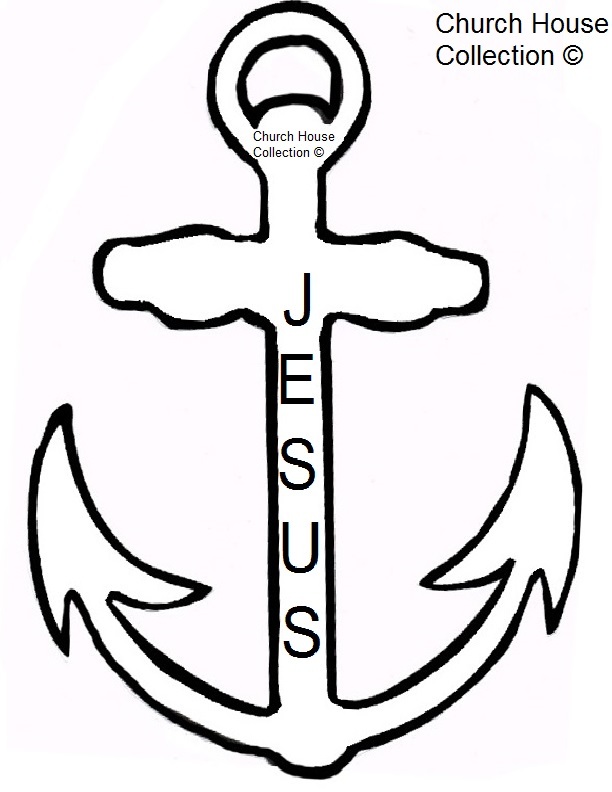 Print this anchor pattern on cardstock. Cut out the anchor and color it gray. Make a chain from the paper strips by taping them together. Leave one strip to attach the chain to the anchor. For very young children, you might want to have the anchors already cut. If you have several students, you could use these for a mobile or as part of a bulletin board.